In spring 2018, I woke up to an email announcing a proposed $61 million cut from the Governor’s Office to the California State University’s (CSU) 23-campus system’s requested budget for 2018-2019. I had long been baffled that a state so rich in resources – the sixth largest economy in the world – could be so poor when it came to supporting the single largest producer of the California’s workforce. In a city where coffee and a doughnut could cost $10 and a 500 square foot one bedroom condo frequently sells for $800,000, shouldn’t there be more dollars in the state coffers for the CSU? Moreover, analysts have also associated high gross state product, low unemployment rates, and Democratic Party control to increased higher education spending. Why then does California – a state that fulfills nearly all these requirements – implement successive cuts to the CSU, even as waves of college-ready seniors are coming out of high schools? My colleagues have insisted that Californians are anti-intellectuals who devalue education. Yet state surveys show that close to 70% of Californians oppose cuts to public education in the midst of elected public officials who allocate more resources to prisons as they shrink education. As an Asian American who grew up being called “Jap” and later “Chink,” I was convinced that as California had grown increasingly “minority-majority,” moneyed Whites now sending their children to private school deliberately began to defund public schools to maintain a brown proletariat that would do their laundry, unclog their plumbing, or deliver food to their doorstep. The answer though appears more complicated. Policymakers insist that their hands are tied with respect to budgeting and expenditures. Federal and state requirements, voter-approved initiatives, court mandates, and case loads rigidly set the state’s budget priori­ties. In this context, the CSU system remains especially vulnerable, since there are no mandates nor requirements that provide funding for its public universities. Interestingly, community colleges sit in a more protected position, as part of Proposition 98 which guaranteed funding for K–14 education. Income disparity also appears to significantly motivate the defunding of public education. The share of state spending on Medicare has a notably negative effect on general fund expenditures. In a state such as California, one that is deeply committed to accessible health care for the poor, the negative relationship would mean the more the state pays into Medicare, they have less funds to allocate toward public education. Higher education is seen as a discretionary budget area that, unlike other government services, has the ability to compensate for cuts in state expenditures. People more commonly and correctly assume that universities have sources of funds particularly through tuitions charged to students. In contrast, expecting prisoners or welfare recipients to pay for their own incarceration or public assistance would be nonsensical. Thus higher education can become the first category of state discretionary spending to receive cuts, since it is to some extent capable of generating its own revenue through tuition. This has led legislators to perceive higher education as the ‘‘balance wheel’’ of state budgets in its ability to absorb cuts that cannot be implemented in state mandated areas of funding. Furthermore, ever increasing tuition hikes, impacted courses and majors, a six-year time-to-degree norm, low job placement, and ironically campus demonstrations that protest state defunding has deteriorated California’s trust in its public universities as a nurturing place for success. Mounting educational problems in the face of rising business success has additionally made legislatures less enthusiastic about funding these apparently “failing” areas of state allocations. Conservatives, demanding more accountability from universities, insist that supporting college education and financial aid is a waste of money. While universities could certainly run more efficiently, Michael McPherson and Morten Schapiro have noted that the problem does not lie in wasteful public institutions, but instead with state governments that have focused more of their resources on other priorities. Research shows that increased state appropriations have a positive impact on institutional graduation rates. Thus, if legislatures hope to improve graduation rates at an underperforming institution, legislators should allocate more funds rather than less. Experts predict that inaccessible baccalaureate degrees in California due to defunding of public education will limit the future of the state’s labor force and will widen income disparities among its residents. The Public Policy Institute of California projects that the state will fall one million college graduates short of economic demand by 2030. California’s future workforce will be less skilled and less able to meet the demands of an economy that increasingly rewards more highly educated workers. The underclass will grow among California residents, and skilled workers will have to be imported from other states if not countries. Universities could, with some degree of effort, replace the dollars lost to declining public appropriations with revenues from alternative sources. However, research has consistently found that the strings attached to new funding steers faculty and administrators in directions that are potentially at odds with historically defined core institutional missions. Institutions of higher education dedicate themselves to public service and research endeavors that strives to benefit the public. Increased reliance on alternative revenue sources will likely be accompanied by a decline in the production of these activities. Policy makers and voters alike would be foolish to view education through a business lens when it is clearly a non-profit. In other words we cannot measure a state university’s success on whether they are a self-sustaining financial entity. We mustn’t forget that public education remains crucial for public welfare. And, we must always remember that a college degree is not just an individual asset but more importantly a public good. After more than ten years of disinvesting in public universities, California, which was once a leader in higher education, now falters in the global race to develop a highly skilled workforce necessary for a prosperous economy. Ironically, as the state’s economy has grown, allocations for public education has shrunk. Decreased funding which has resulted in ever rising tuition and impacted courses and campuses has disabled a growing number of college-bound Californians, many of whom are of color, from attaining bachelor’s degrees. Making higher education inaccessible results in reduced social mobility, intensifying class polarization, and generational poverty. In America where race as well as a college degree plays a role in your economic potential, less accessible education that deepens income disparities also aggravates the racial divide, crippling even a robust economy with the simultaneous need to address growing racialized poverty, ultimately fueling a racial apartheid which we can already see taking shape in the CSU system’s 23 campuses. As students of color comprise 70% of undergraduates at many campuses, whites comprise the overwhelming majority of faculty. Which great leaders of our state will take on the defunding of public education? Will you? 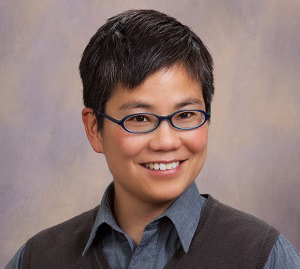 Dr. Amy Sueyoshi is the interim dean of the College of Ethnic Studies at San Francisco State University.